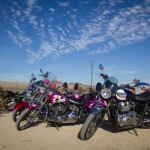 If you were anywhere around Southern California (especially East of Los Angeles) the weekend of October 3rd, you probably witnessed a mob of women motorcyclists heading down the highway. 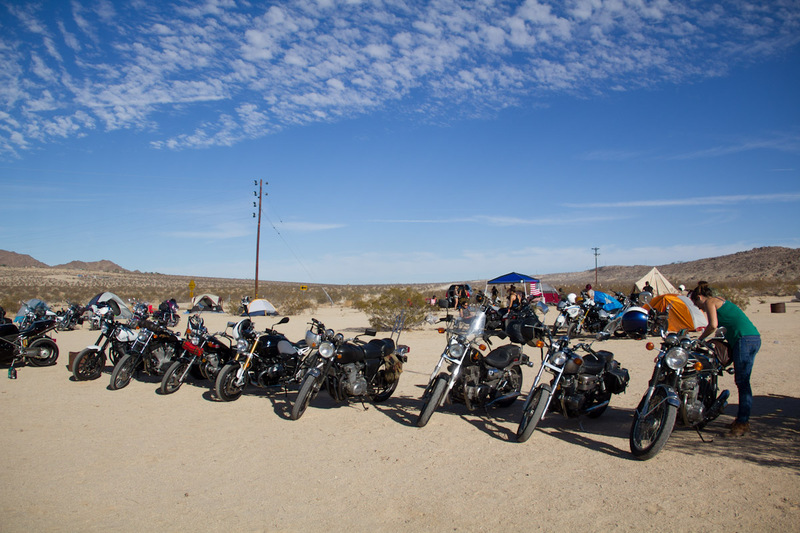 They were all on their way to the 2014 Babes Ride Out event, dubbed “Babes In Joshua Tree”. 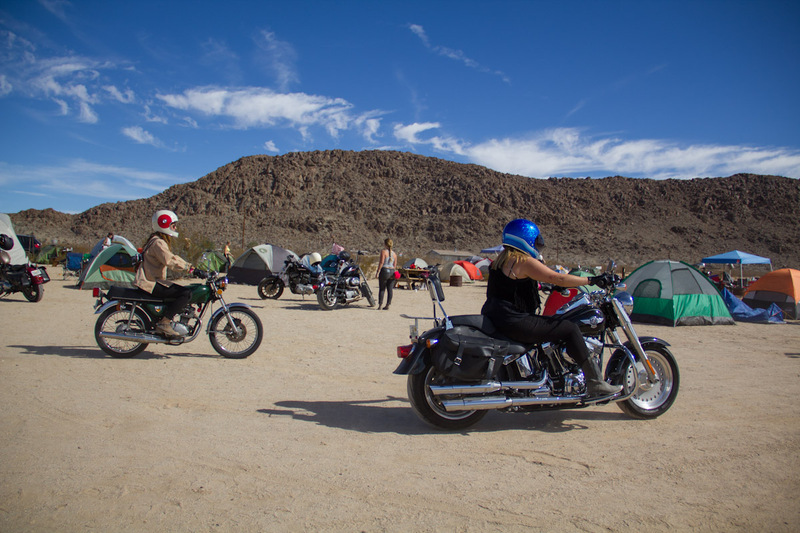 Friday, October 3rd hundreds of ladies flooded into the campground and set up their tents next to their motorbikes. 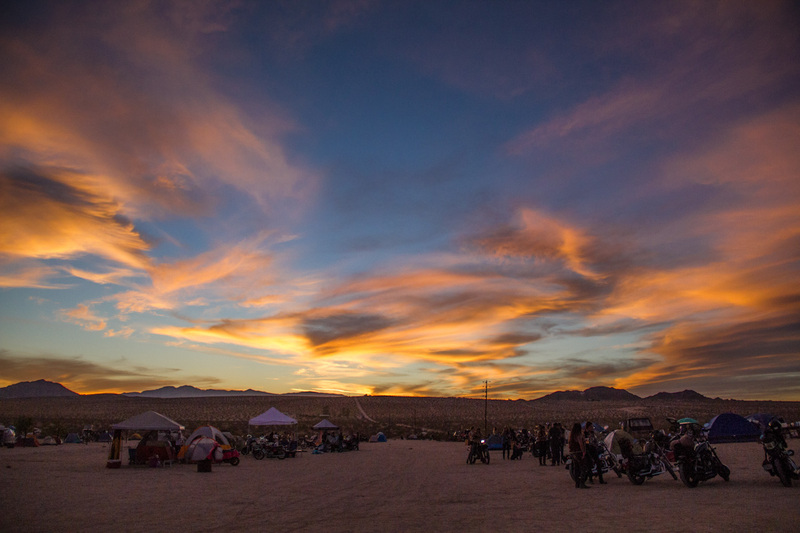 The weekend is meant to celebrate sisterhood, motorcycles, and beautiful scenery- the weekend’s itinerary included a Friday night cocktail hour, and a Saturday group ride followed by night time pizza, bands, and beer. 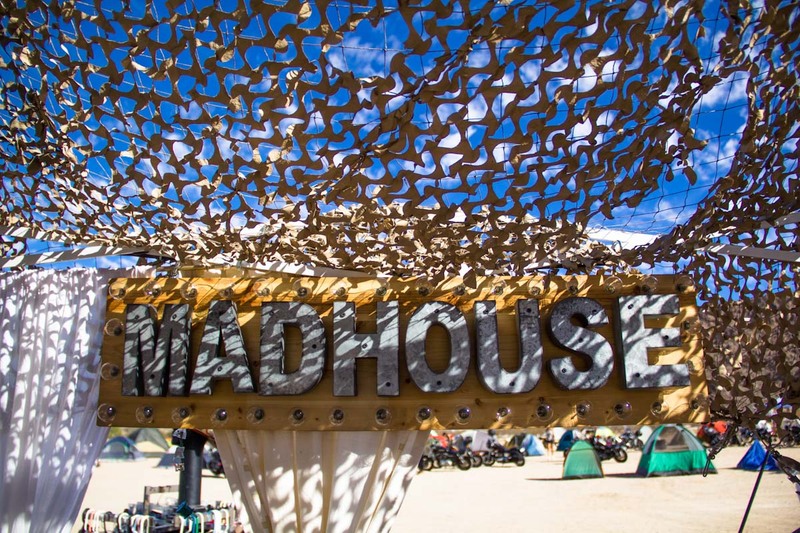 Most women woke up early Saturday as the sun rose and baked the inside of tents, forcing them out into the desert air long before the group ride was set to take off. 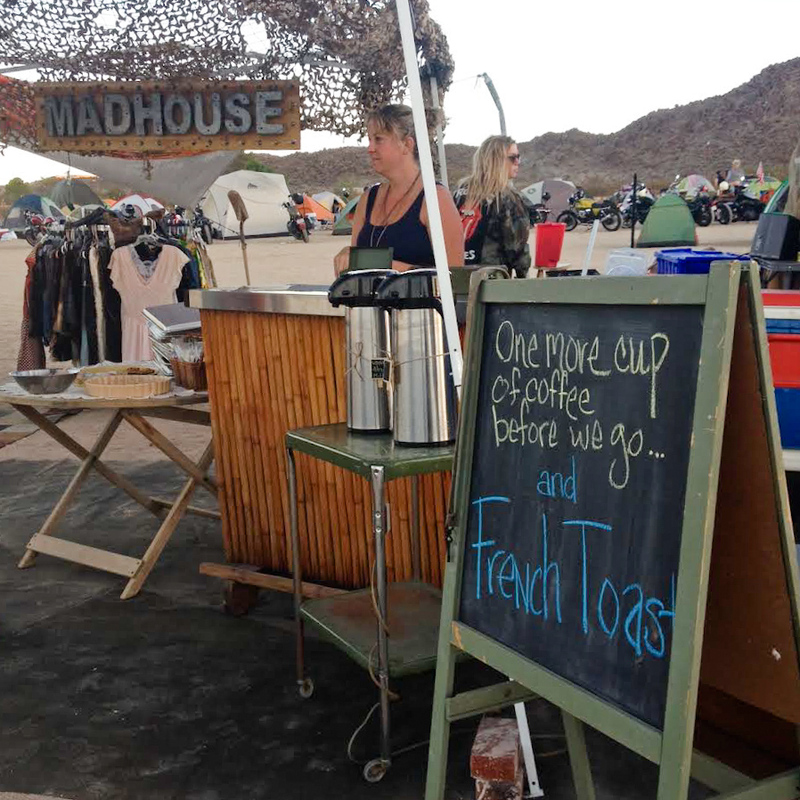 Madhouse had a food cart set up, providing breakfast burritos to hungry and dusty girls before they got ready to head out on the group ride. Kickstands up at 9am, they took off for a long (eight hour, 160 mile) ride through the hills. Stragglers hung back at camp nursing hang overs and/or adjusting to the 100+ degree heat that for some, made it seem impossible to slide into gear for a ride. 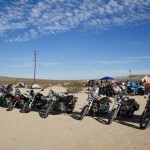 As the day progressed the heat became bearable, and riders met up at Pappy & Harriets, a honkytonk BBQ restaurant and music venuefour miles NE of Yucca Valley- about 15 miles from the B.R.O. 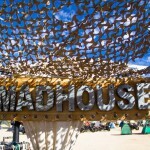 base camp. The place was packed. A sign in the entryway warned customers that their food isn’t always fast, but it’s always good- so if you didn’t have the time, just go ahead and leave now. 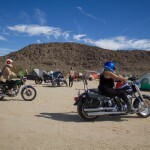 Ladies from Babes Ride Out were battling the music festival attendees- but after a half hour wait, and maybe 15 minutes for our food, we were all happy as tumbleweeds in the wind. 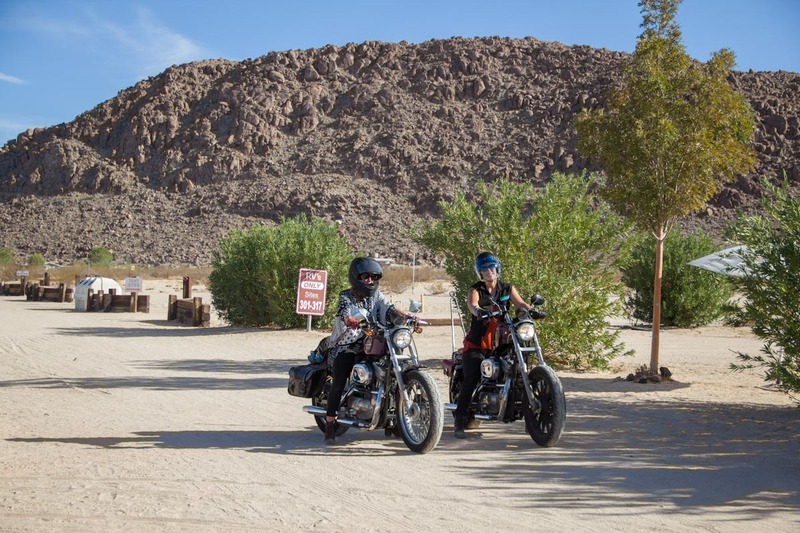 We rode back to camp through the gently curving mountain roads in our little pack of motorcycles, crossing paths with women riders every 1/4 mile. It was like a strange and beautiful planet where the majority of riders are women rather than men. 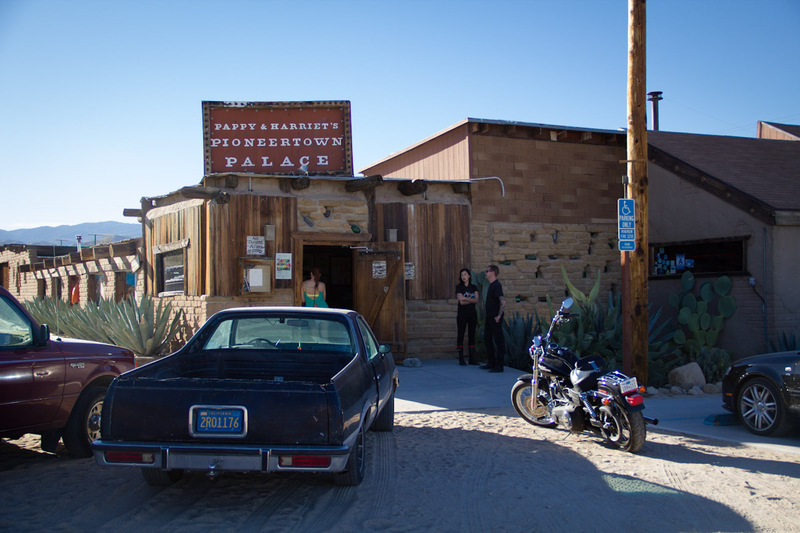 In the evening, ladies scarfed up an amazing amount of Pizza from Pie for the People, rocked out to featured bands Death Valley Girls and LA Witch, and enjoyed Moonshine from Ole’ Smokey… plus an endless supply of PBR. 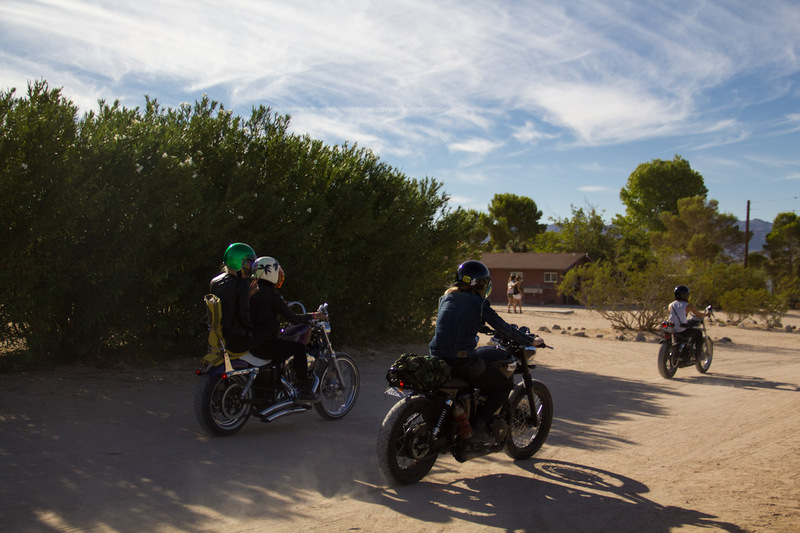 The Babes Ride Out crew had a massive raffle giveaway, including hand painted tanks, helmets, gift bags from Vans, Biltwell, and more. Giggles echoed off the hills into the wee hours of the morning. Sunday morning the food cart ladies had French Toast available before we all packed up and headed out- a sweet end to an even sweeter weekend. Looking through all the photos posted from the event on Sunday night, there were stories of trial and triumph, connections made spanning states and even countries, new bonds that will last a lifetime. 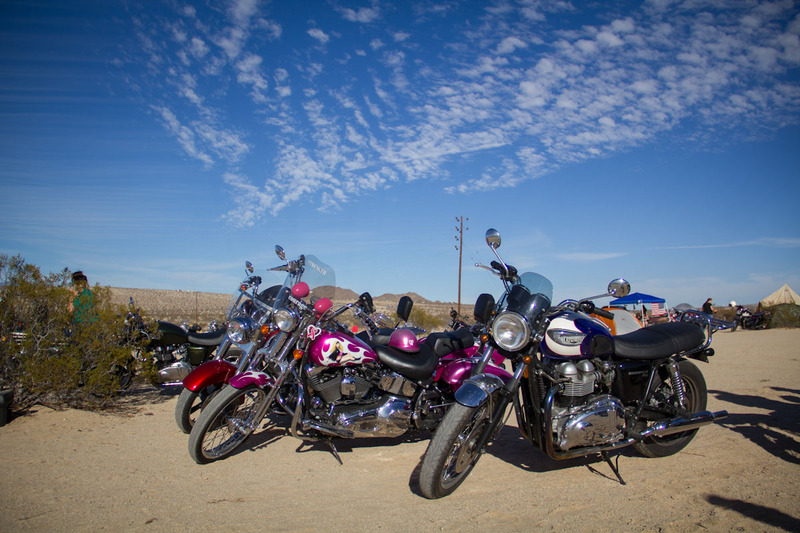 Check out the Babes Ride Out website for further information on their events, and follow the @babesrideout instagram for more photos! Photographs by Alicia Mariah Elfving, copyright 2014.